In a record year for the Alzheimer’s Association Advocacy Forum, nearly 900 advocates gathered on Capitol Hill, compelling Congress to make Alzheimer’s disease a national priority. With representatives present from all 50 states, this event once again brought together those affected by Alzheimer’s and allowed them to share their stories, their passion and their personal challenges living with the disease. Chuck Warner was one of the 900 strong. From April 7-9, my wife Lisa and I had the opportunity to attend the 2014 Alzheimer’s Association Advocacy Forum in Washington, D.C. This was my first experience as a Forum attendee. I was looking forward to meeting other advocates living with the disease and the opportunity to connect with my peers from the Alzheimer’s Association National Early-Stage Advisory Group. National Early-Stage Advisors represent individuals living with Alzheimer’s and related dementias and use their voice to educate state and federal officials about the need for improved research funding, care and support programs to support individuals and families affected by Alzheimer’s disease. In this role, advisors advocated for people with Alzheimer’s so that they may receive expedited access to Social Security Disability Insurance (SSDI) and Supplemental Security Income (SSI) through the Compassionate Allowance Initiative. They also advocated for the inclusion of an individual living with dementia to serve on the Advisory Council on Alzheimer’s Research, Care, and Services to the National Plan to Address Alzheimer’s Disease. My experience at the Forum was even more impactful than I could have imagined. This year, a record-breaking 40 individuals living with Alzheimer’s or related dementias registered to attend the Advocacy Forum. Twenty of those individuals were either current or former National Early-Stage Advisors. These numbers represent the largest contingency of individuals living with dementia in the 26-year history of Forum. It was a pleasure meeting fellow advocates living with the disease and I was overcome by the emotional bonding that occurred among this group. The opportunity to spend time with other individuals using their voice and sharing their stories to raise awareness of the unique needs of individuals and families living with Alzheimer’s disease was a powerful experience. Along with staff from our local Association chapter and other advocates from California, we brought our message to Capitol Hill where we met with Congressman Sam Farr. I have known Congressman Farr for many decades and enjoyed our conversation. Our message – that Alzheimer’s is the most expensive disease in America, with costs set to skyrocket in the years ahead – was heard. But there is more work to be done. The number of Americans with Alzheimer’s disease is growing and at some point the federal government will have to face the financial and economic impact of Alzheimer’s disease on this country. My experience in Washington, D.C. heightened my resolve to educate others about Alzheimer’s disease and the growing crisis which stands before us. As an advocate, I think it is time for policymakers to get on board and pledge to support the fight to end Alzheimer’s. Since my return home – and recovery from jet lag – I feel more determined than ever to raise awareness about Alzheimer’s and the consequences for others like me living with the disease, our families and the millions of others who will eventually be impacted. 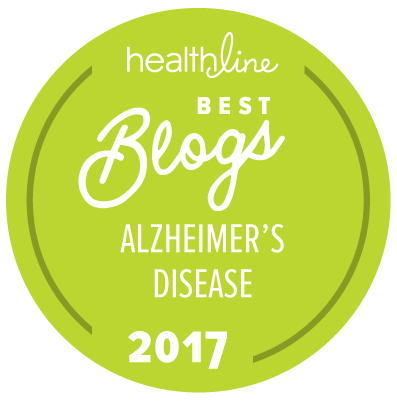 The Forum inspired me to try and do something each day to politely educate those who do not know (or perhaps do not want to know) about Alzheimer’s and the consequences of this disease. You can join the cause by becoming one of the thousands of Alzheimer’s advocates who are making a difference. At the Alzheimer’s Association, we are working toward a time when we will have effective treatments, preventive strategies and gold-standard care for all people affected by Alzheimer’s disease. To learn more about how you can become an integral part of this movement, visit the Advocacy homepage to become an advocate today. Thanks for all you're doing to help educate our community about Alzheimer's – you are truly making a difference!